In this section you can find brief descriptions of PM36, PM46, additional sensors that can be added to the DCPs and others hydrometeorological sensors. Here is a general scheme of the data collecting and information scheme in the Med-Hycos project. Memowin.zip 531 Ko Software to use the reading memory unit. 12 Ko - Admission form to obtain the Eumetsat number. -Guidelines for the preparation of the requests for the allocation of timeslots for WHYCOS DCPs. 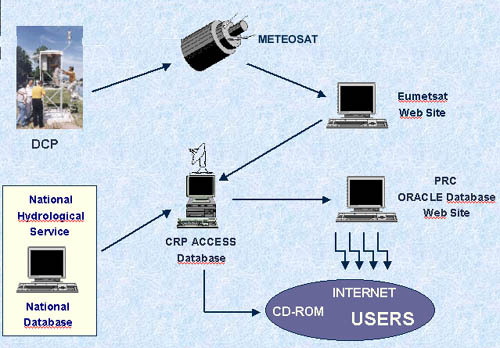 43 Ko Software to know where pointing the antenna to the Meteosat satellite.